Ahhh…fall. It’s that time of year that we pack the flip flops away and bust out cozy sweaters. Know what else comes out this time of the year ? 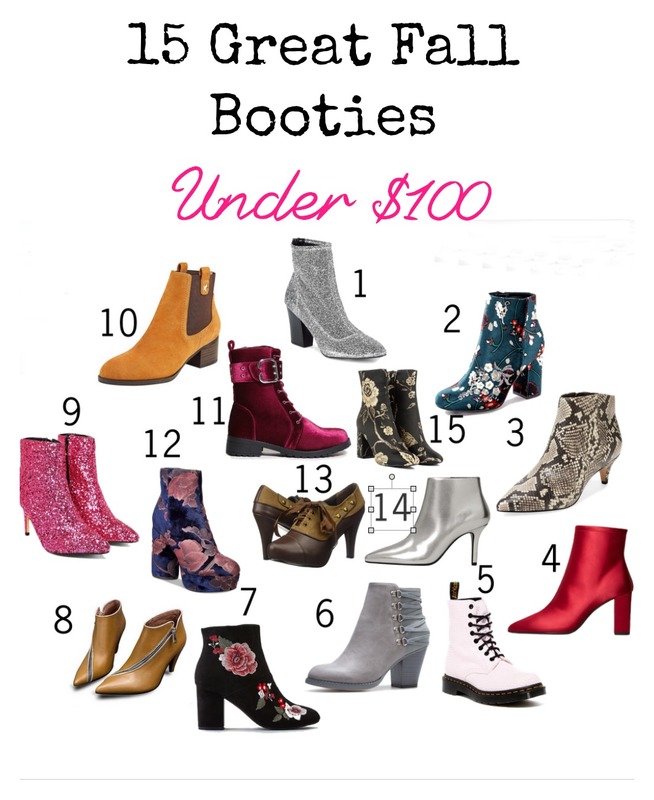 All of the great boots, mules, and booties. Of course you need to get a new pair or two or 8. Because, hello! It’s cold outside and your feet need to be protected. Besides, at these great prices and amazing styles, who can say no? These are some of our favorite fall booties that are under $100. Wanna know a secret? A lot of these pairs are around $50. WHOA! 1 Nine West Metallic Zip Booties – These are a fabric bootie that has a metallic texture. Great for giving that little sumtin-sumtin. Also available in black. If you need a wide width, take a peek at these Circus by Sam Edelman booties. 2 JustFab Loreida Bootie – This gorgeous shoe definitely has a chinoiserie feel, but are oh so gorgeous. They’ll look amazing with a long skirt, leggings, or even skinny jeans. I’m partial to the green, as shown, but they’re also available in black embroidery and solid black faux suede. 3 Sam Edelman Kinsey Booties – I love a good animal print, and this snake print is a perfect addition to your wardrobe. You’ll reach for these again and again. 4 Satin Fabric Ankle Boots – One of the huge trends for fall is color and texture. These fall booties have that in spades. 5 Dr Marten’s Page Waffle Ankle Boot – Who doesn’t need a great pair of docs in their wardrobe. The light pink perforated leather of these give them a decidedly feminine flair. 6 Landy Lace Back Booties – These have a slight western feel, with an unexpected lace up detailing in the back. Stone grey is a hot color for fall, but these are also available in Cognac and Black. 7 American Eagle Embroidered Heel Bootie – These boots are adorable, and look a whole lot more expensive than they are. Who doesn’t love that? 8 Sienna Zip Around Booties – How fun are these? I love the zipper, and the shape. 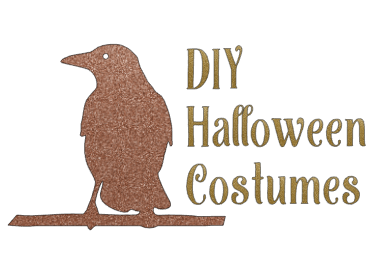 The neutral color is perfect for fall, and beyond, too. Also available in black, and as flats! How awesome is that? 9 Nasty Gal Runt of the Glitter Bootie – Everyone needs some glitter in their life. These shoes are just HOT! Magenta glitter stilettos and that pointy toe? Oh yes! Check out these pink glitter booties for something that’s a little more down to earth, too. 10 Tommy Hilfiger Roxy Suede Booties – These are those booties that you’re going to reach for every day. They’re great for almost any outfit, and can look casual or dressed up. Also available in black. 11 Privileged Shoes Velvet Boots – These go back to the color and texture thing. Available in burgundy or olive, both colors are a perfect choice for the fall. So pretty! 12 Call it Spring Crini Booties in Blue Velvet – Velvet was seen all over the runways for fall. Get in on the trend with these fab platform booties. Also available in black patent. 13 Ellie Women’s 414 Steam Boot -This one is kind of a mashup between a pump, a loafer, and a bootie, and I love it. Very menswear looking, with a bit of a steampunk edge. 14 Metallic Finish Ankle Boot – How amazing are these? LOVE the shiny silver finish paired with the stiletto heel. Oh yes please! 15 Secret Garden Embroidered Floral Chunky Heel Booties – The chunky heel and embroidery are both huge for fall. 2 birds, one stone. WHEW! 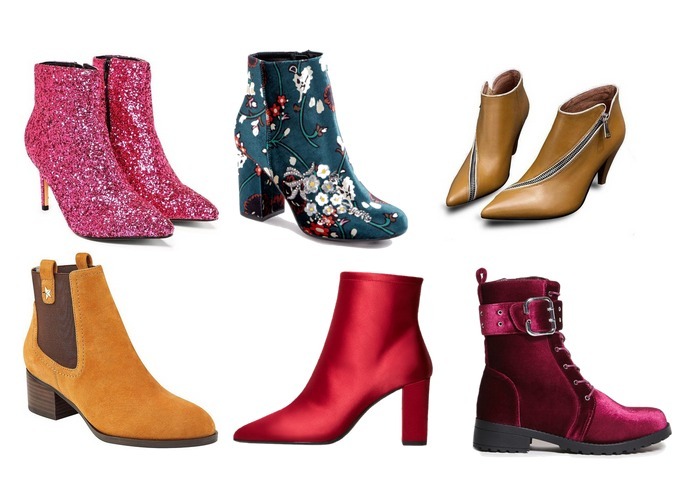 15 amazing pairs of fall booties that are so on trend. Tell me, which of these are your favorites?